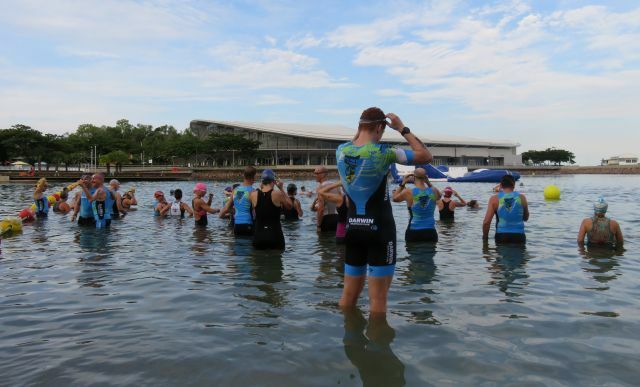 We were lucky with near perfect conditions for our Aquathlon at the Waterfront on Saturday evening. A great field at a top venue with lots of age group competition, lots of spectators and lots of encouragement. And lots of positive feedback! A huge thank you to Alan Barrett our Race Director. In case you hadn't noticed, Alan has been RD at no less than four of our events this season. Kimberlie Baldwin & Kerri Thomas sorted check in for us again and Jamie Baldwin handled our fruit | ice to perfection, thank you. And thanks to those who jumped in to lend a hand on the day, appreciated! As we slip into December, Christmas crazy is well and truly upon us and we are all scrambling to fit everything in. Do hope you all have our final event of the year, the ConocoPhillips Xmas Splash n Dash, on your calendars and have your Santa hats, jiggle bells & tinsel sorted. For this event, we need your help to get organised. Our volunteers need extra time to organise the goodies we have planned and we are asking our members (both adults and juniors) to please register here for the event asap. Info & entry here - to assist our volunteers to prepare catering, goodies, etc we are requesting members to enter as early as possible for this event. Today would be awesome! 1. We now have the whole pool booked for our event and you will notice a different start time. 2. Public will be leaving pool by 5:45pm. 3. To get our event underway in a timely manner, check in and body marking will take place in the pool car park near the side gates from 5:15pm. 1. We have a number of club custom tri gear items remaining (tri tops, tri shorts, tri suits). 1. We still have some junior tri gear & cotton tees available (think Christmas). 1. We are in need of a registration volunteer for our next event 10 Dec 2016. 2. A volunteer for Race Director is urgently required for our first event in the new year, Aquathlon #3 Sunday 22 Jan 2017. 3. Other vacant spots exist on our 2017 calendar and we would now like to get those filled. 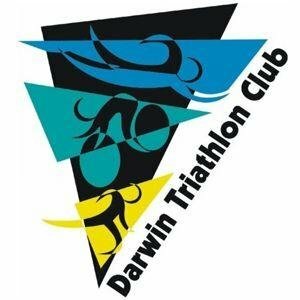 Please check the event calendar and roster and email darwintriclub@gmail.com if you can help. 1. Former member Katie Kelly has been nominated for Female Athlete of the Year in the Australian Paralympic Awards. Congrats Katie. 2. Hearing there is a need to take care on the Tiger Brennan bike path as rocks have washed on to it in some parts. The Darwin Waterfront Corporation advise that both the inner and outer areas of the Recreation Lagoon will be closed from 6 to 9 December 2016 while cleaning works to the sea water intake pipes are underway. Swimming in the Recreation Lagoon will not be permitted during this time. Sea water is constantly pumped into the Recreation Lagoon through three different intake pipes to manage water quality and maintain a constant water level. The Corporation is undertaking cleaning of the pipes which are subjected to marine growth given the nature of the natural marine environment. Cleaning will be undertaken through high pressure water-jetting of the pipes and removal of any marine growth within the pipes. The maintenance works are required periodically to ensure longevity of the Recreation Lagoon and maintain to a high standard of water quality for swimmers. Big Buoy Water Park will not operate during the closure. The Recreation Lagoon will reopen on Saturday 10 December 2016. 4. Good luck to those competing at Ironman WA this weekend inc Brad Fitzwater, Sarah McEachern & Kerri Thomas. 5. Good luck Clare Labowitch, lining up for Ironman 70.3 WA on Sunday. 7. Found at Aquathlon #2 - a pair of goggles. Email darwintriclub@gmail.com if yours.